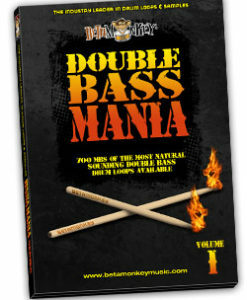 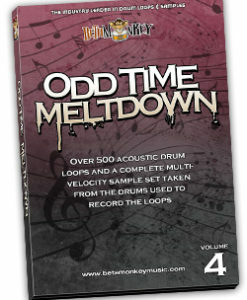 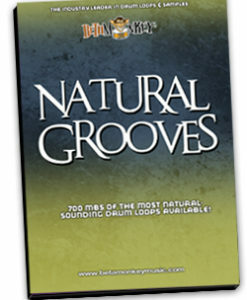 All Drum Loops – 100% Acoustic and Always Live! 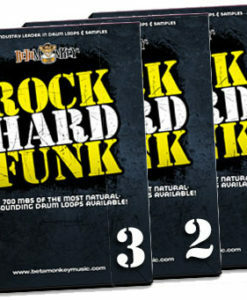 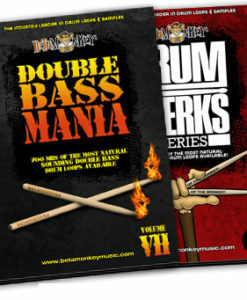 Beta Monkey offers drum loops for rock, hard rock, classic rock, metal, blues, country, jazz, funk, fusion, percussion, ska, reggae, and more. 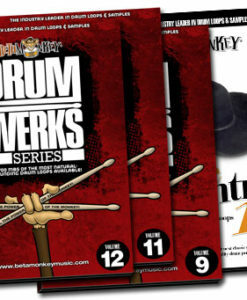 Download Beta Monkey drum loops and samples instantly. 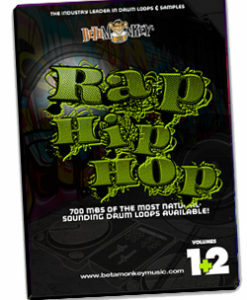 All purchases include all loop formats (16-bit ACIDized WAV, 24-bit ACIDized WAV, APPLE LOOPS / AIFF, and REX2). 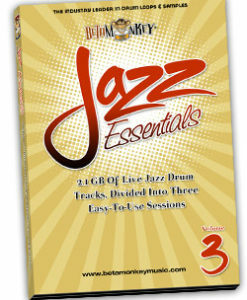 We guarantee universal compatibility for all recording software and DAWs. 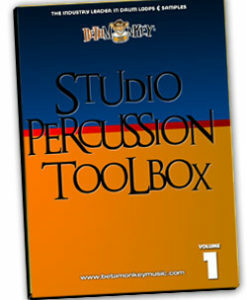 For use in Ableton Live, Apple Logic, Cubase, FL Studio, Pro Tools, Reaper, Reason, Studio One, and more. 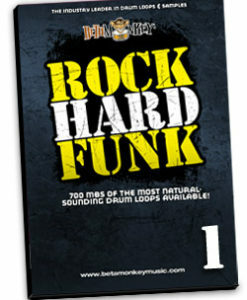 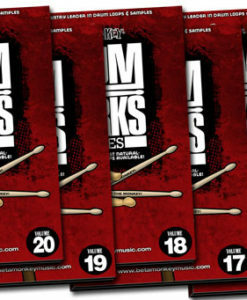 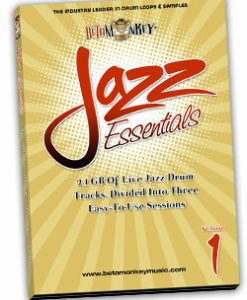 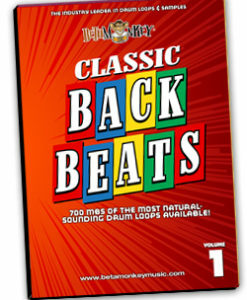 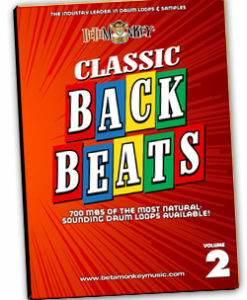 All download sample packs feature cohesive and consistent drum mixes and sounds recorded in a single recording session. 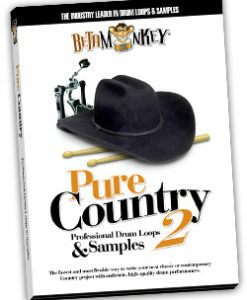 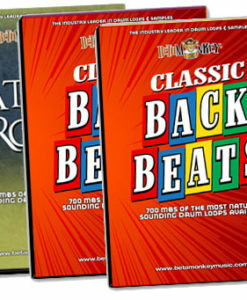 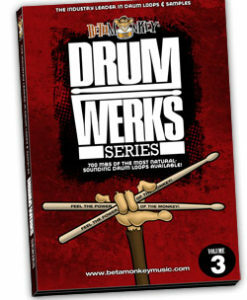 Unlike competing products, Beta Monkey drum loops always include multi-velocity drum samples from all drums and cymbals used at recording sessions.